Tour Austin Weird in the best way possible. We have conducted safe tours for just over 14 years now in Austin, Texas. Meet at our store located at 1403 Lavaca Street, Austin, Texas 78701. We start out with helmet fitting, orientation and general operation procedures. 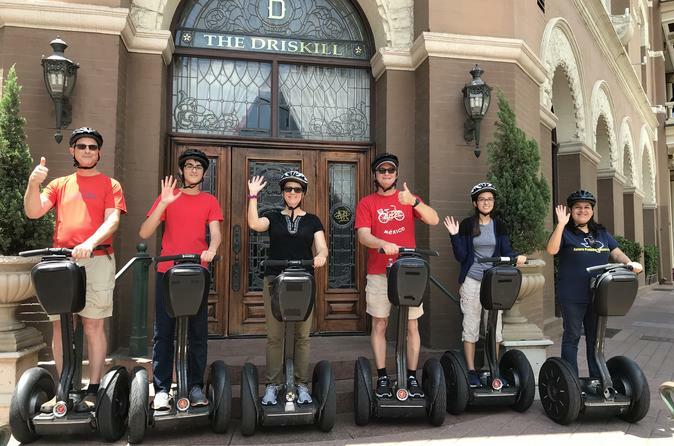 One at a time, you get to stand on the Segway and learn how to operate the controls. A guide is always there with you for the first minute or two, most riders feel confident within 3 minutes. We like to get some practice outside on sidewalks before departing for the tour.